China has set up an unmanned weather station in Tibet adjacent to Arunachal Pradesh which can be used for military purpose in the event of an armed conflict with India, according to media reports. 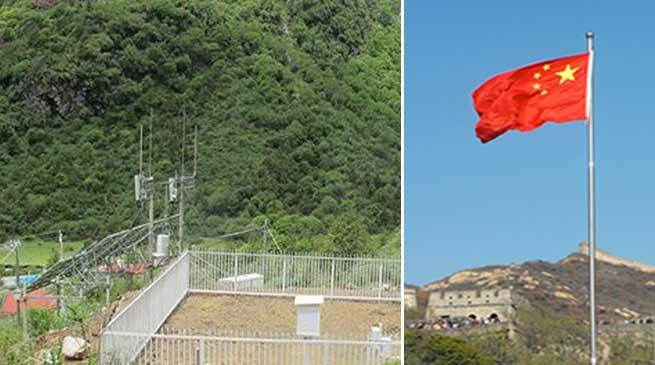 According to Global Times, this unmanned automatic weather observation station has been set up in the Yumai township in Southwest China’s Tibet Autonomous Region close to the Indian border. The construction of the station started in early 2018, but it was severely hit due to extremely bad weather in the area. It was finally completed in June and the station transmitted its first weather data on June 22, the report said. The unmanned weather station set up near Arunachal Pradesh will provide meteorological support to the Chinese military and assist operations of aircraft and missiles in case of “regional live-fire conflicts,” the report said. It will also provide strong meteorological support for national defence and further promote border development as well as military-civilian integration, according to a statement by the Tibet weather bureau. “The station can observe six factors, including air temperature, air pressure, wind speed, wind direction, humidity and precipitation, with more accuracy than before,” Tashi Norbu, a technician in charge of the station, was quoted as saying by the state-run daily. The unmanned weather station is significant since regional weather is an important factor that could influence the take-off and landing of aircraft and the launch of missiles during a battle, Song Zhongping, a military expert, was quoted as saying by the Global Times. The Line of Actual Control (LAC) between India and China covered 3488-km which includes Arunachal Pradesh. Yumai, which is China’s smallest township in terms of population, has just nine households and 32 residents. It is located in the southern foothills of the Himalayas and affected by the monsoon climate of the Indian Ocean. Yumai is connected to the outside world with a road which has been under construction since 2017. More weather stations are likely to come when the construction of the road is complete, a Chinese official said.